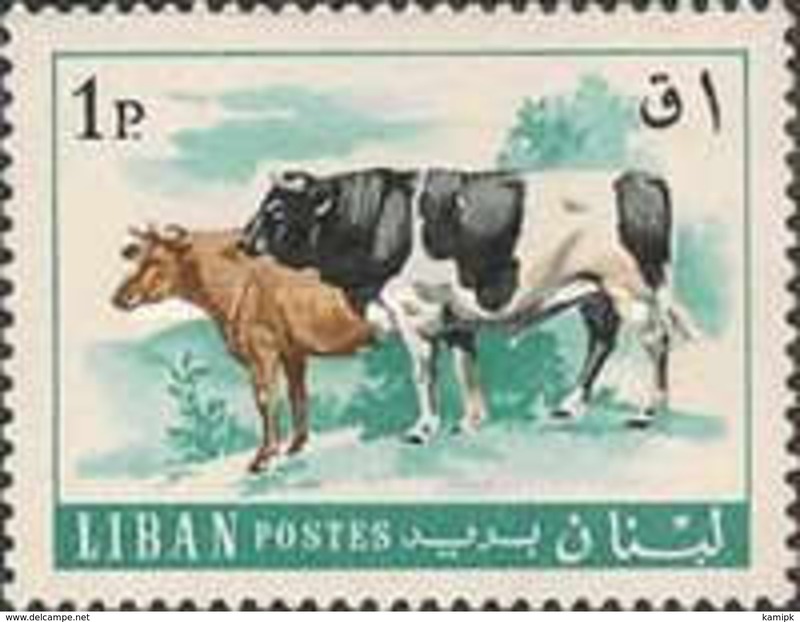 Lebanon 1961 set unmounted mint. 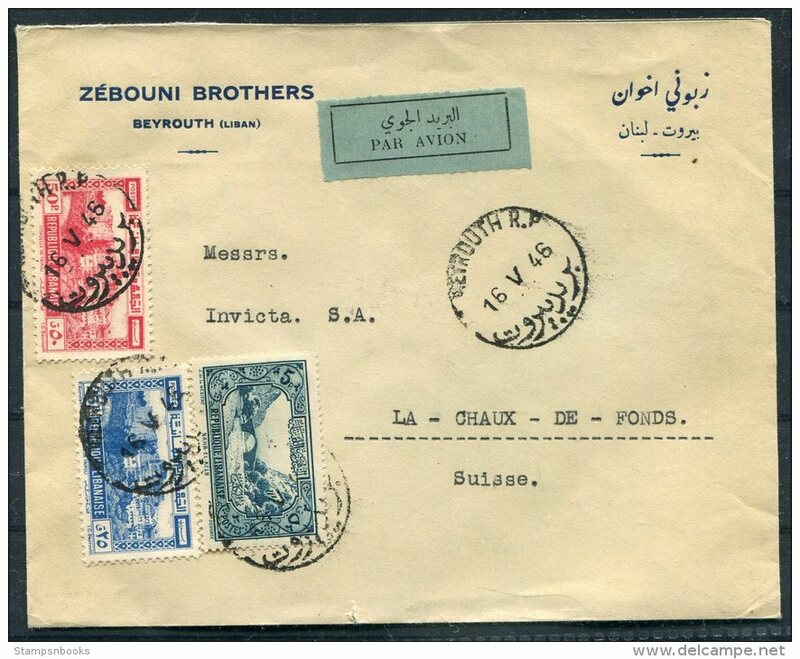 Airmail cover, Compagnie du port, des quais & entrepots de Beyrouth - Argus Press Agency, Geneva Swizerland. 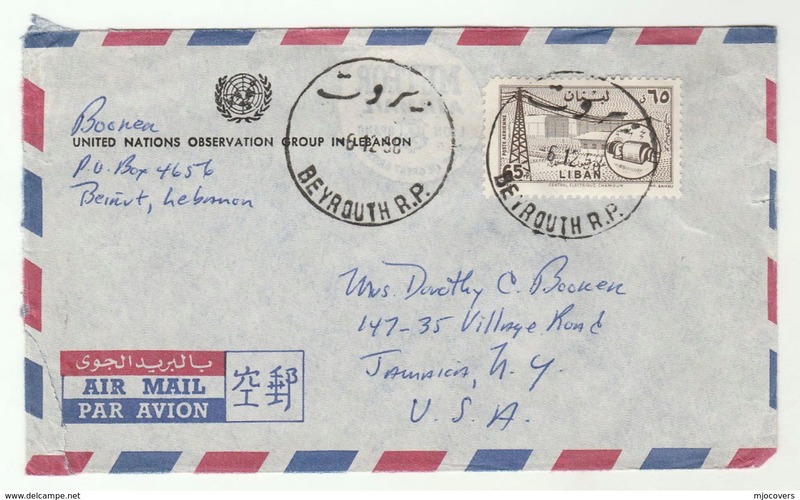 1949 Registered Beyrouth Airmail cover, Electricite de Beyrouth - Argus Press Agency, Geneva Swizerland. Lebanon 1951 regular set lightly mounted mint. 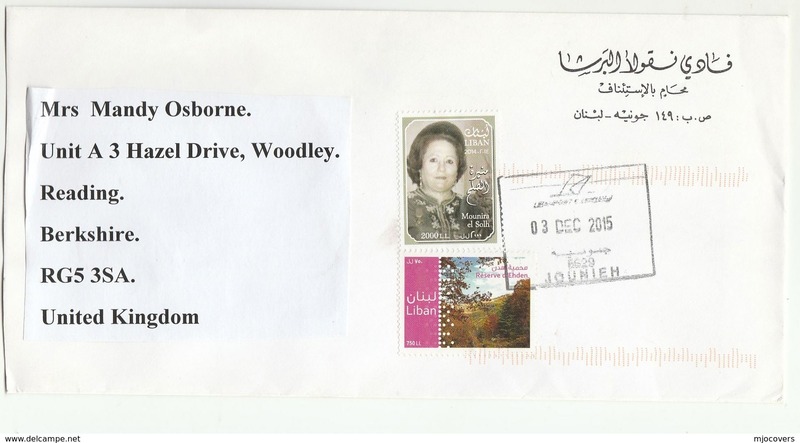 Lebanon 1949 50p brown-red Jounieh Bay lightly mounted mint. Lebanon 1949 15p green Jounieh Bay lightly mounted mint. Lebanon 1949 regular set lightly mounted mint. Lebanon 1965 Tokyo Olympics souvenir sheet lightly mounted mint. 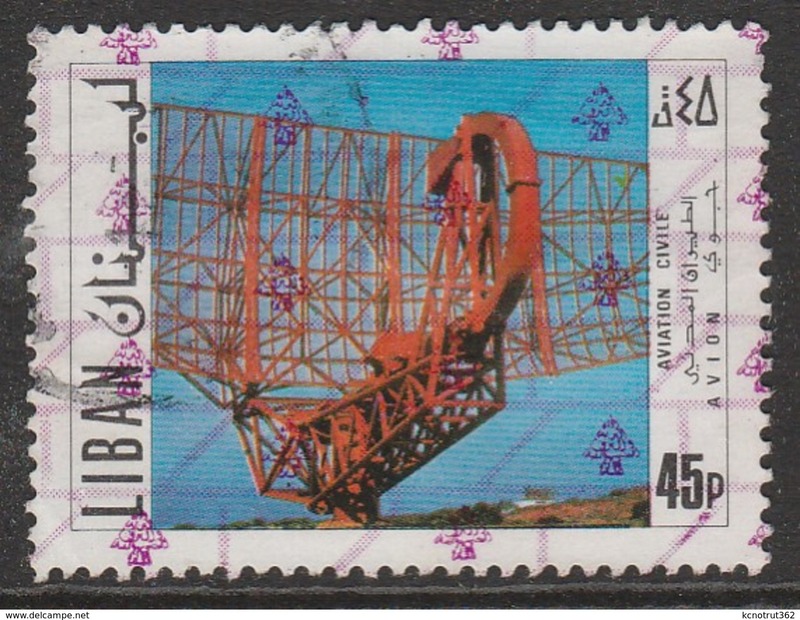 Lebanon 1961 Air. 15th Anniv of U.N.O. 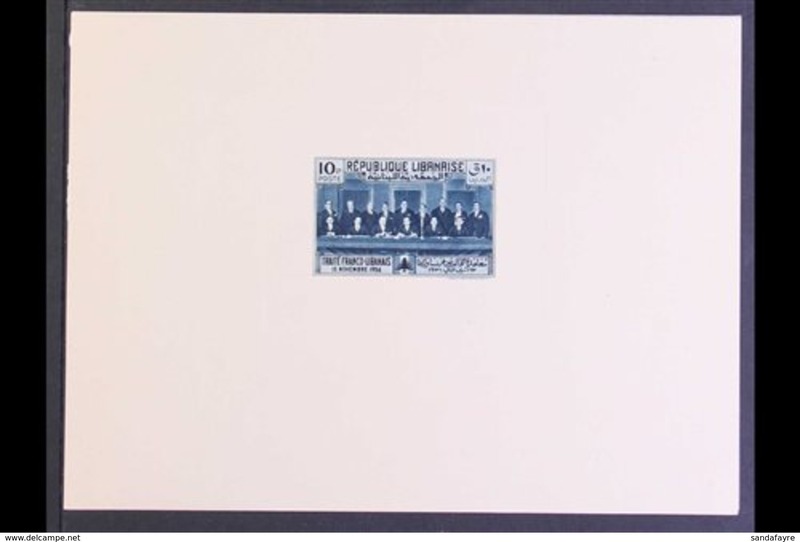 souvenir sheet lightly mounted mint. 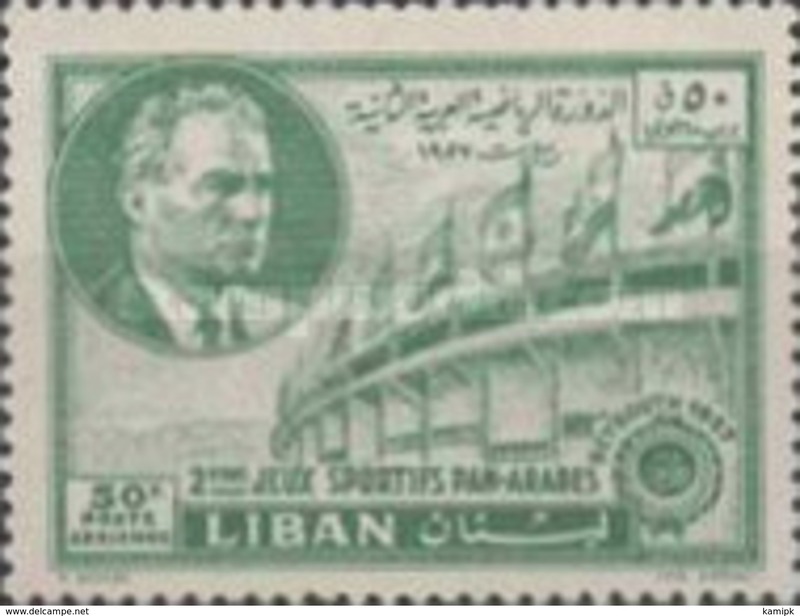 Lebanon 1961 Olympics souvenir sheet lightly mounted mint. 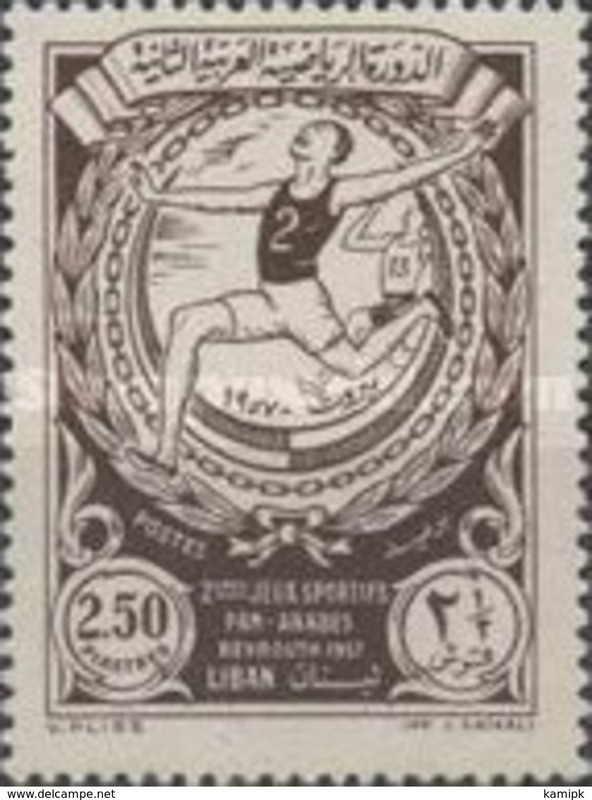 Lebanon 1959 Third Mediterranean Games souvenir sheet lightly mounted mint. 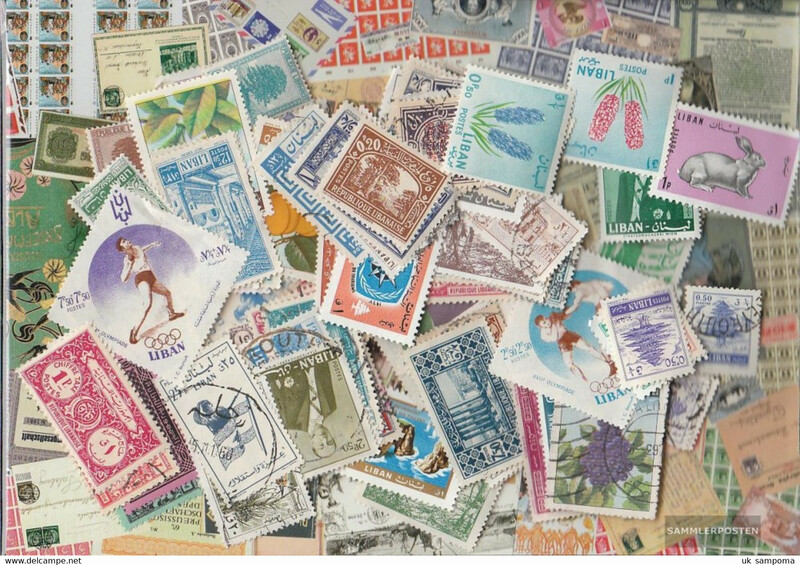 Lebanon 1973 Lebanese Handicrafts lightly mounted mint. 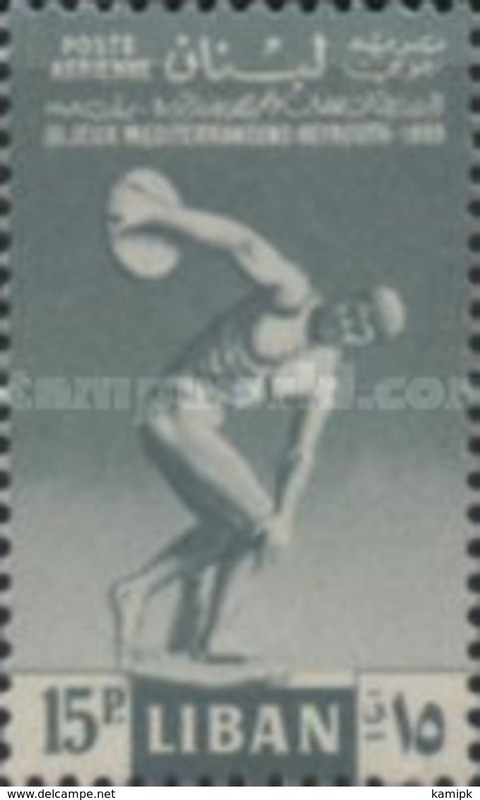 Lebanon 1959 Skier Provisional lightly mounted mint. 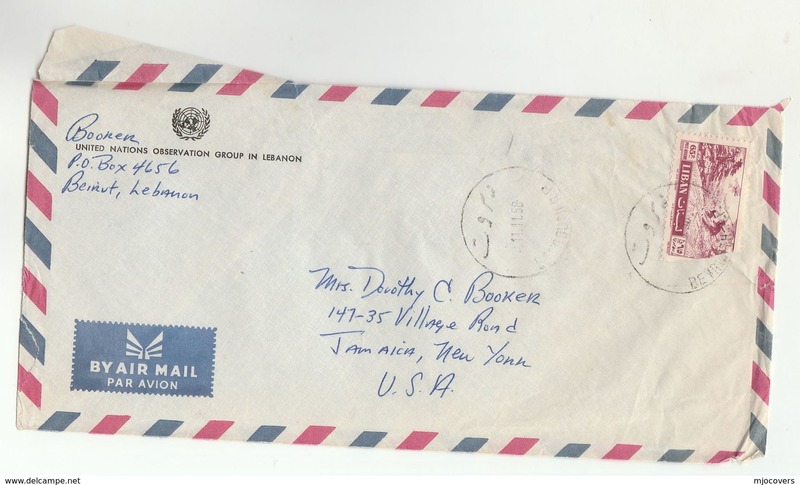 Lebanon 1957-60 air set lightly mounted mint. 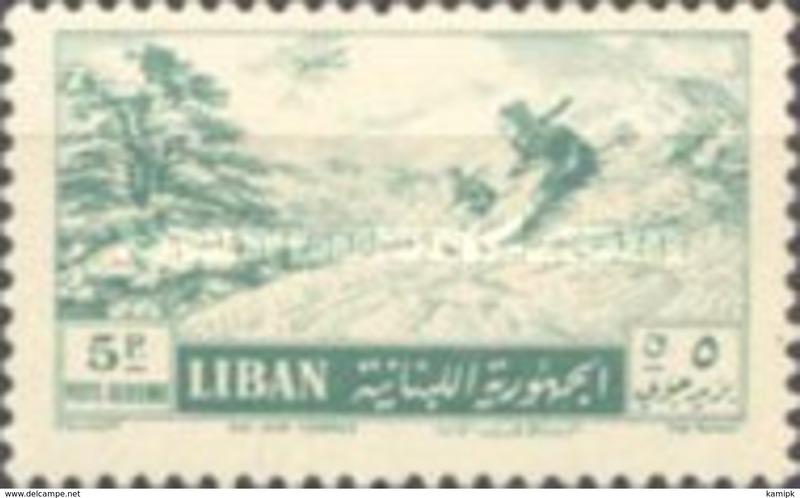 Lebanon 1957 skiers redrawn lightly mounted mint. Lebanon 1957 Litani Irrigation canal redrawn lightly mounted mint. 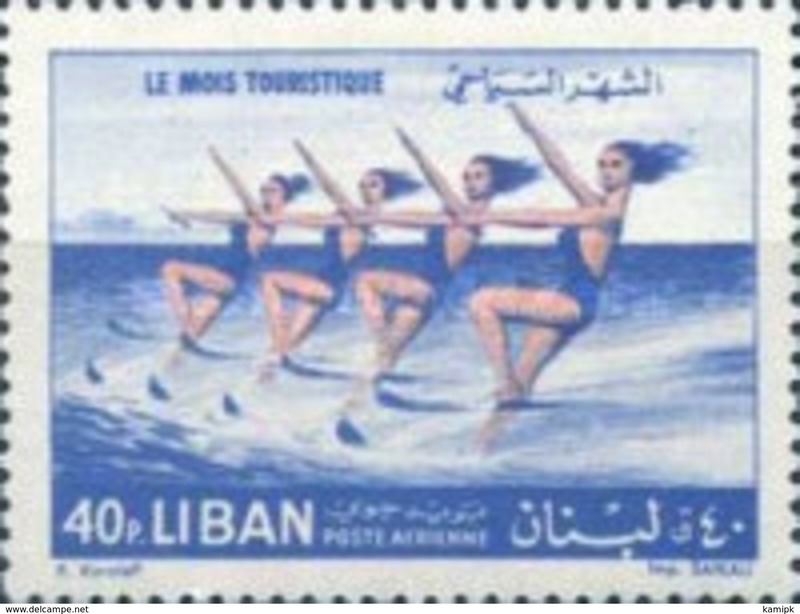 Lebanon 1955 Skiers air set lightly mounted mint. Lebanon 1951 35p Crusader Castle lightly mounted mint. Lebanon 1951 25p Crusader Castle lightly mounted mint. Lebanon 1951 20p Crusader Castle lightly mounted mint. Lebanon 1951 15p Crusader Castle lightly mounted mint. 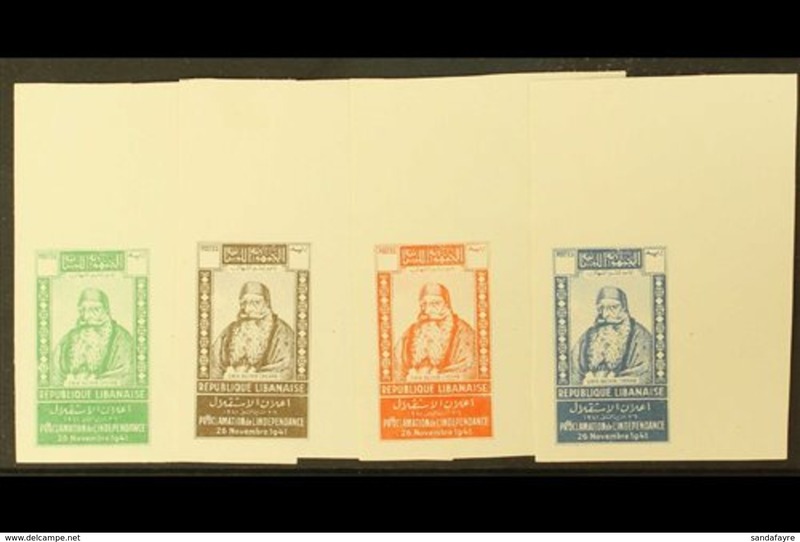 Lebanon 1947 Grand Serail Palace high value airmails lightly mounted mint. 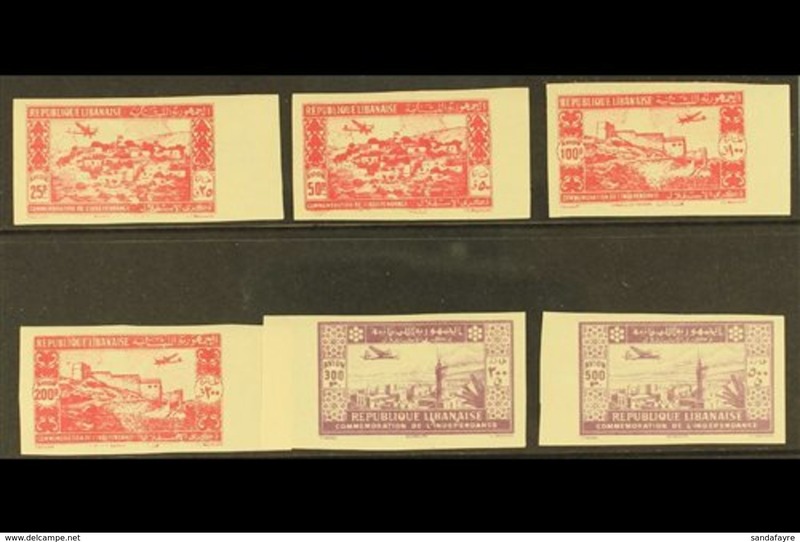 Lebanon 1947 100p brown-purple Jounieh Bay lightly mounted mint. 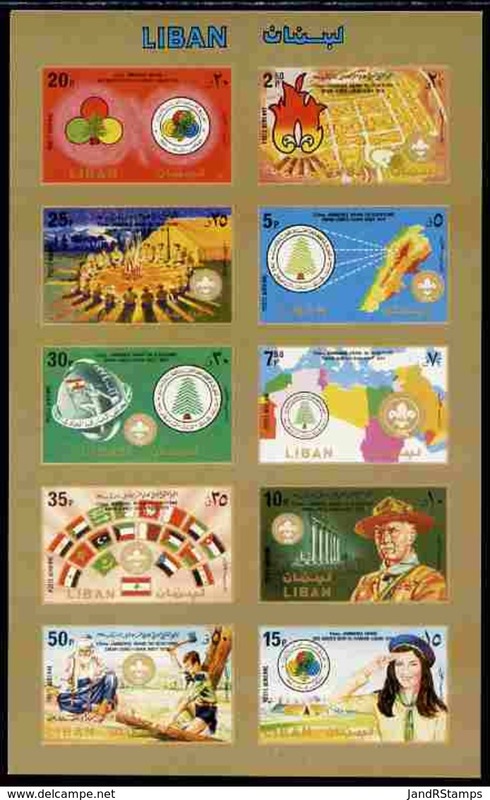 Lebanon 1964 Mediterrenean Games souvenir sheet lightly mounted mint. 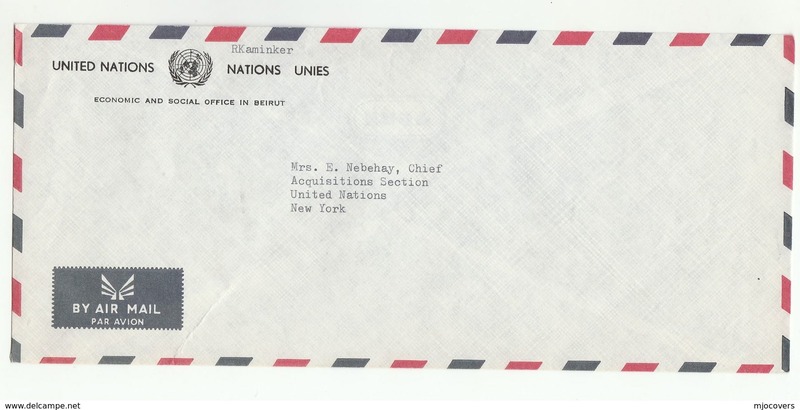 Lebanon 1960 World Refugee Year souvenir sheet lightly mounted mint. 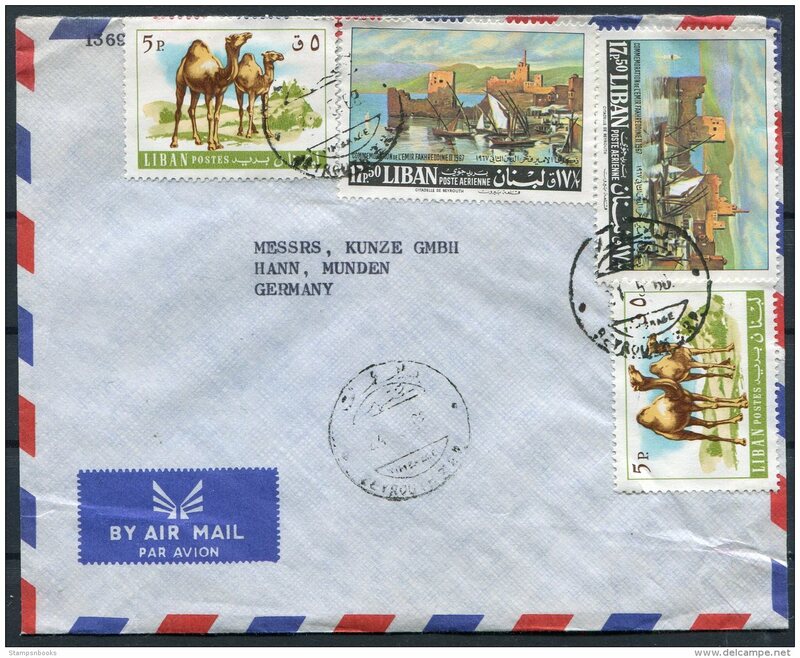 Lebanon 1957-60 airmail set lightly mounted mint. Lebanon. 1937 (28 March) Tyr - Sidon. 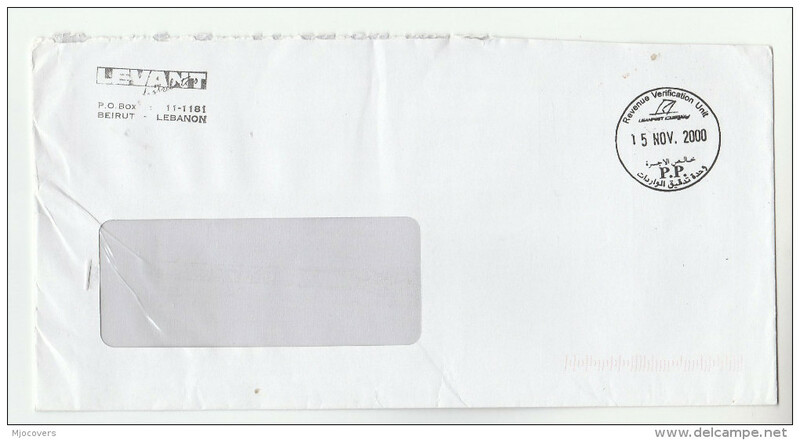 Local fkd unsealed envelope, bilingual cds. Fine. Lebanon. 1936 (20 July) Nabatieh - Sidon. 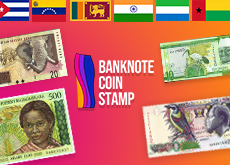 Multifkd env + VF cds bilingual cachet. Lebanon. 1934 (8 Aug) Dhour El Choueir - Saida (9 Aug) Via Beyrouth Fkd env. 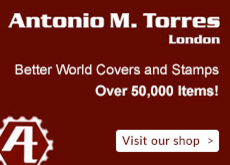 VF bilingual cachet. Fine usage. Lebanon. 1933 (11 June) Saide - Beyrout (12 June) Multifkd env. Fine used. Lebanon. 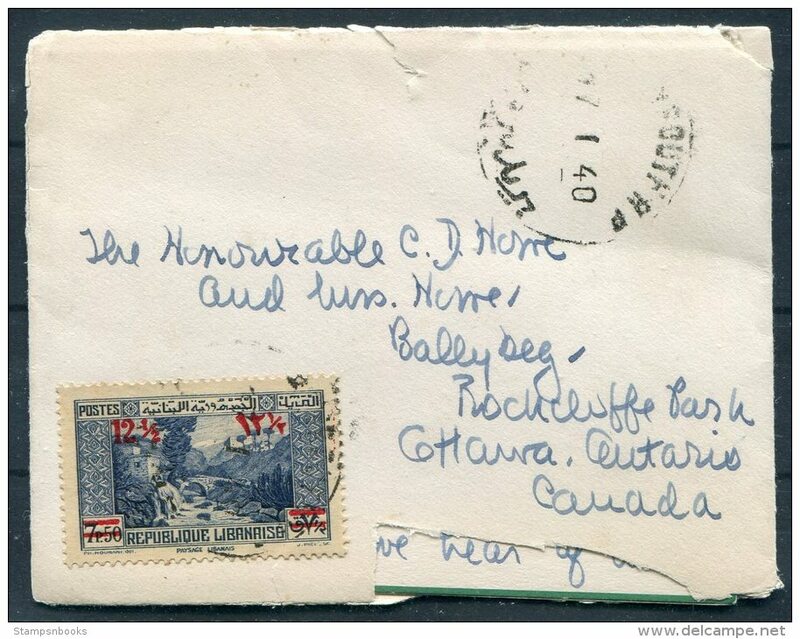 1932 (24 Aug) Nabatieh - Mechta (25 Aug) Local multifkd envelope incl overprinted issue. VF cds. Lebanon. 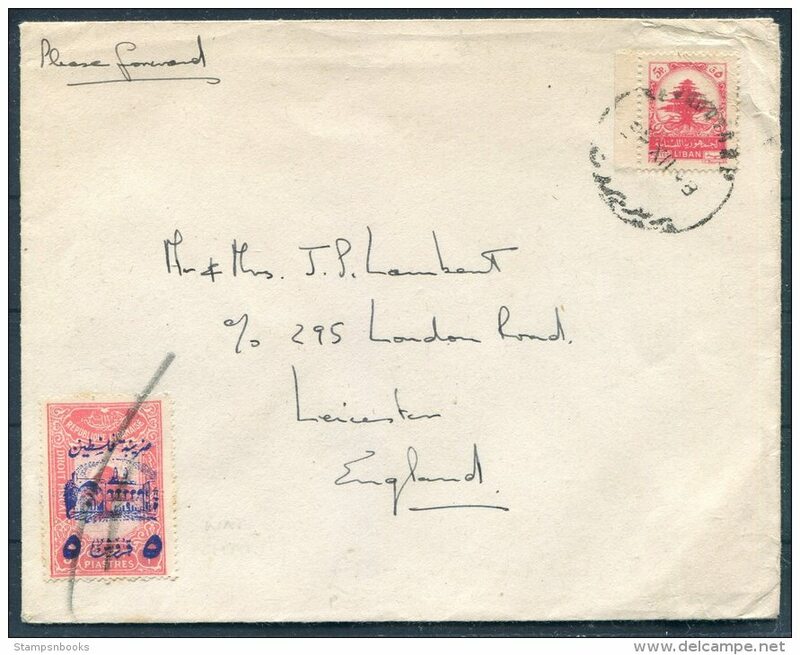 1926 (4 Jan) Beyrouth - Suida (5 Jan) Unsealed fkd envelope at printed matter rate usage + cds. VF Shows nice. K9- Lebanon Liban 2003 60th Anniversary of Independence. 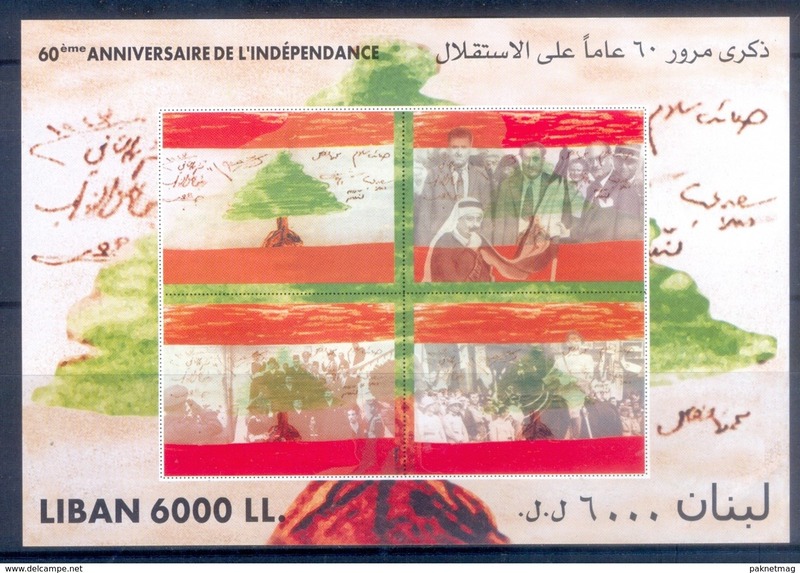 Lebanon 1944 2nd anniv of Proclamation of Independence imperf (minor tone spots) unmounted mint. Lebanon 1944 2nd anniv of Proclamation of Independence unmounted mint. 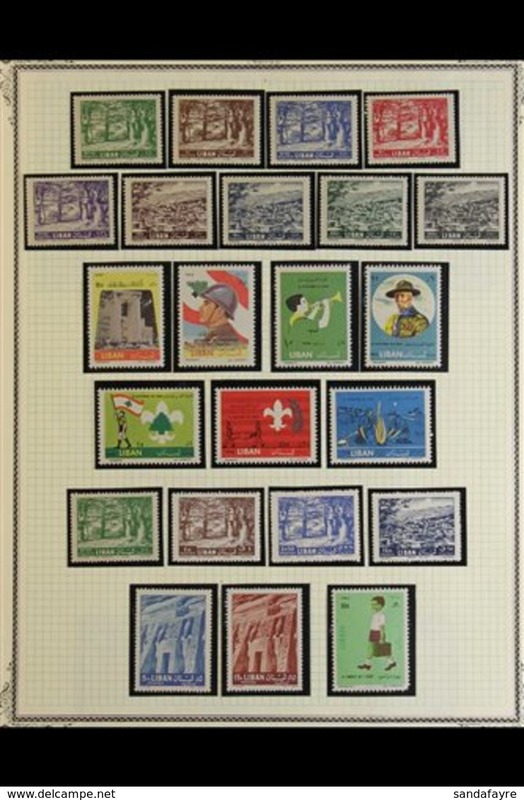 Lebanon 1948 UNESCO air set unmounted mint. 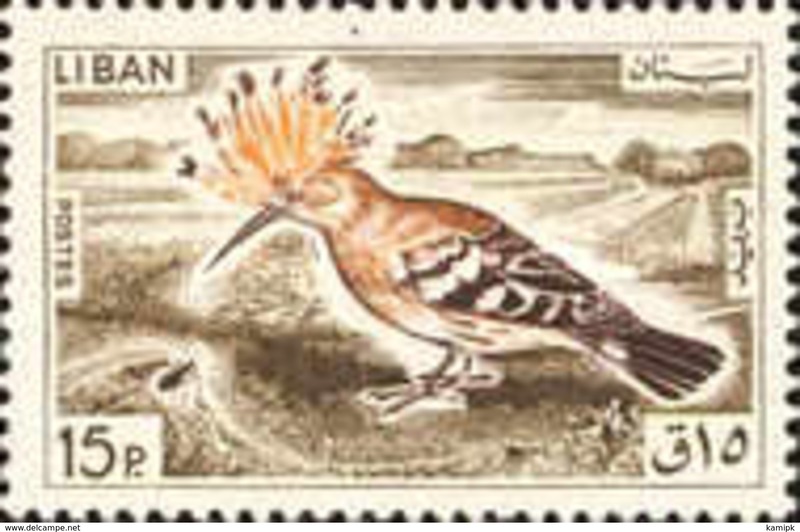 Lebanon 1946 Grey Herons 100r unmounted mint. 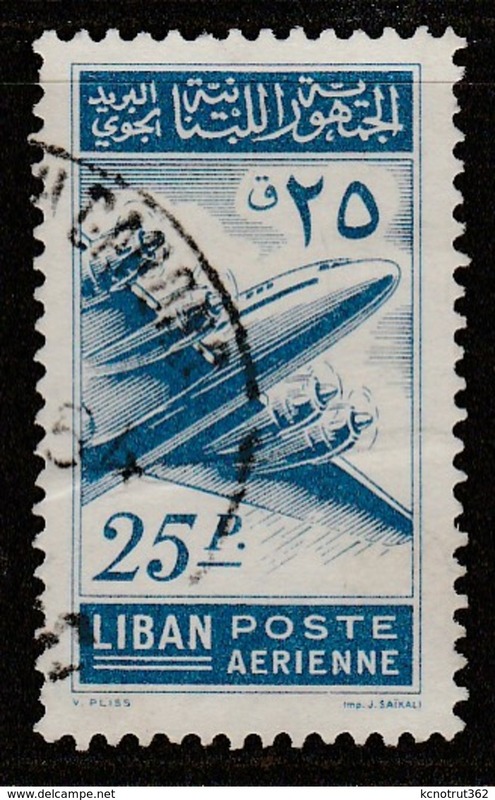 Lebanon 1960 Air. 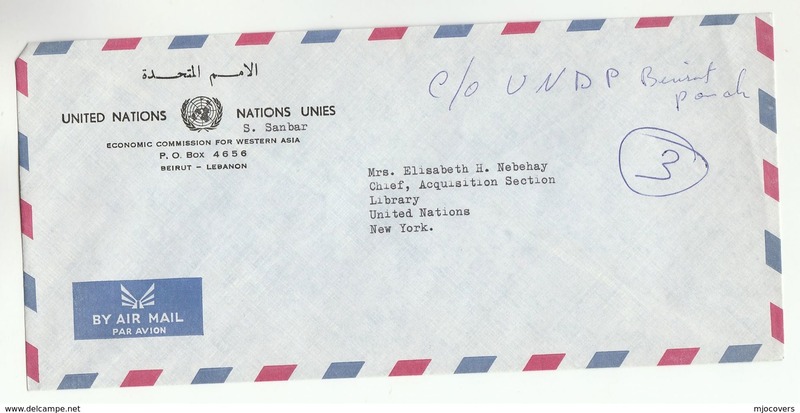 World Lebanese Union Meeting souvenir sheet with no value tablet unmounted mint. 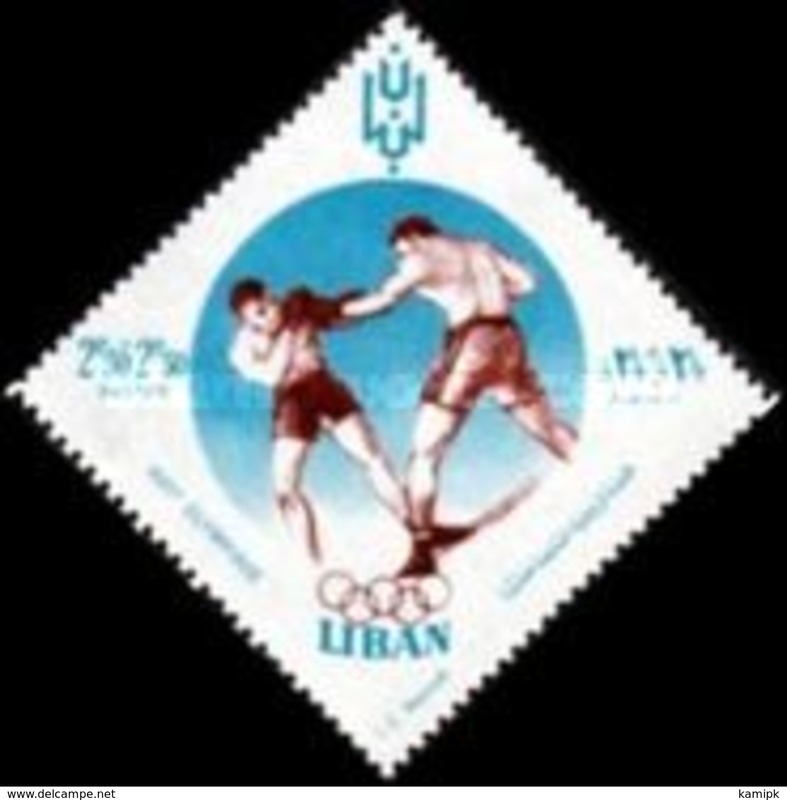 Lebanon 1949 UPU souvenir sheet unmounted mint. Lebanon 1946 Victory sheet brown text with gum unmounted mint (small stain on margin). Lebanon 1944 Sixth Arab Medical Congress fresh mint (faults). 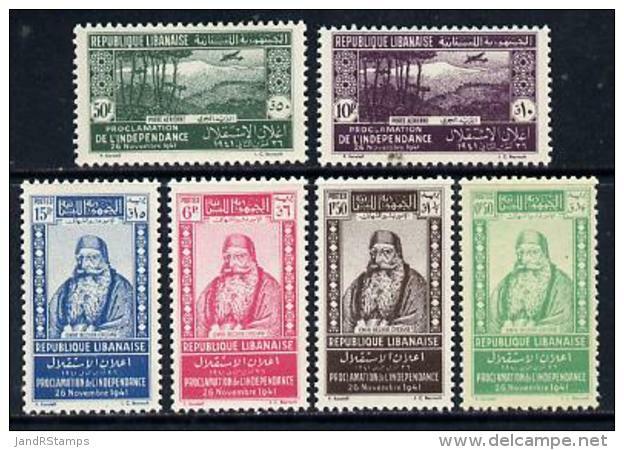 Lebanon 1948 UNESCO set fine lightly mounted mint. Lebanon 1946 Grey Herons set fresh mint lightly hinged. Lebanon 1946 Victory sheet on buff card with blue text lightly mounted mint.